ADSL is a proven, reliable technology, and on the whole it delivers a decent service for its users almost all of the time. When things go wrong, however, don't automatically assume that it's the line at fault. DNS flakiness. This is the part of the internet that converts hostnames (eg, www.google.com) to IP addresses, and if it isn't working you will be unable to websites or check your email. I would experience minutes of DNS issues, and then it would all start working again. Connection failures. Downloads from some hosts (most notably the static content for Google+) just wouldn't work, with more and more hosts affected as time went by. My natural inclination was to blame my ISP (Zen Internet), but their reliability record is so good that I couldn't believe that they were dropping my traffic. Equally, the connection issues were so sporadic that I found it hard to believe that my router could be at fault. Routers do die eventually, so I decided to check if that was the problem after all. 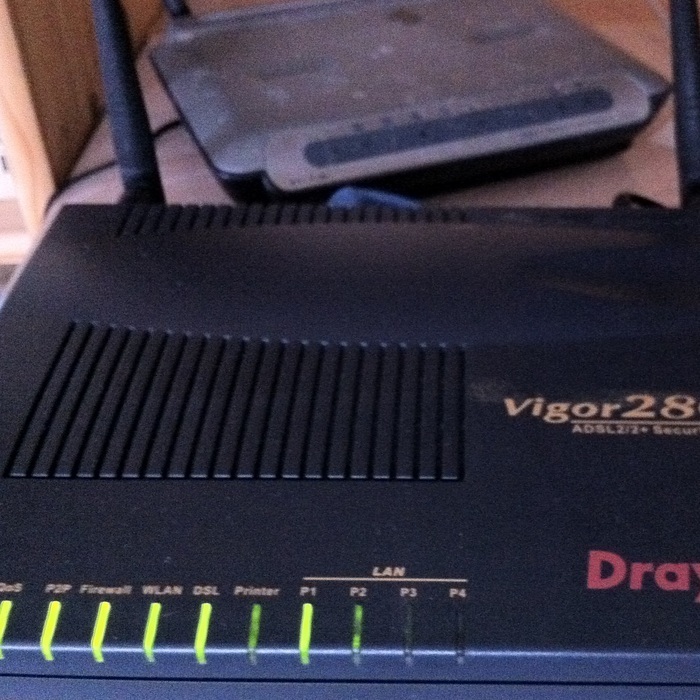 So, I've got hold of a new router (actually, an old one from work - a Draytek Vigor 2800) and the problems have immediately disappeared. My old router (a Belkin ADSL2+ device, probably over 6 years old) is now consigned to the 'emergency spares' bin.